fulfilling all the necessary requirements for God to hear them and answer their prayer. Nagging doubts about rules and formulas shape their perceptions of prayer. But the spiritual thirst and hunger is there. Pastors with little formal seminary training (practically a requirement for US Pastors) who struggle to lead growing churches. Church leaders who want to prayerfully increase the impact of their local church to serve their community. Several in our audience these days lack basic spelling skills, so conferences like we are here to give are effective methods of learning. But when the teaching is over, many report the freedom of relating to God and His word and enjoying the presence of the Lord in prayer. 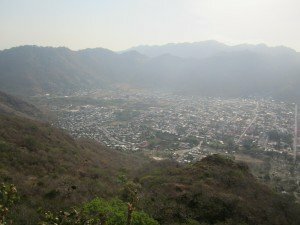 Approximately 9 pastors are among the 40 people who have set apart a workday to attend the PRMI Ignite conference on Prayer in the mountain town of Jinotega, Nicaragua (pop. 40,000). Several have sacrificed a workday to attend, but their desire to grow in the power of prayer has motivated them to make that choice. Some had heard the reports of last November’s Ignite and couldn’t wait for this conference to arrive. 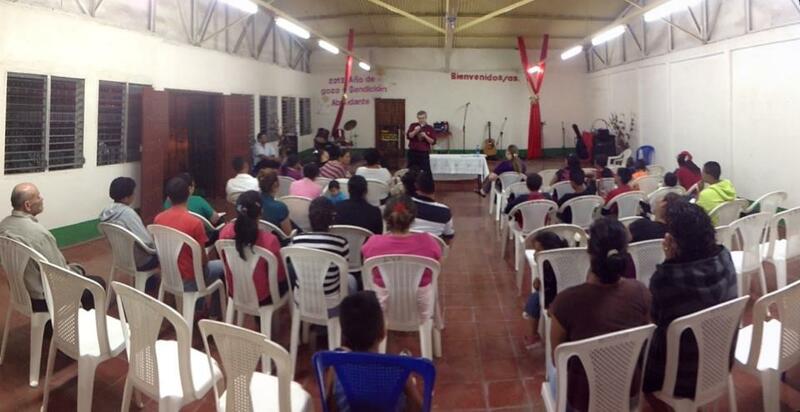 They have gathered in the 2 room church of Vida Abundante (Abundant Life). Expectation is in the air. Conversation times, breakout, prayer ministry times all accompany the teaching. Experiential learning gives people a taste of the power of prayer. The personal devotional breakout session allows many to hear from God about something personal. The systematic teaching provides a framework for people to both understand and participate in the work of prayer. That evening, a different group has gathered for the evening worship and ministry time. 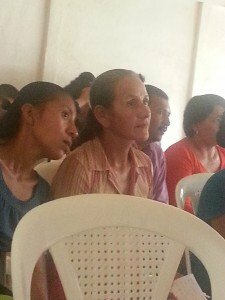 They hear about God’s call and vision, and respond to the invitation to receive prayer. 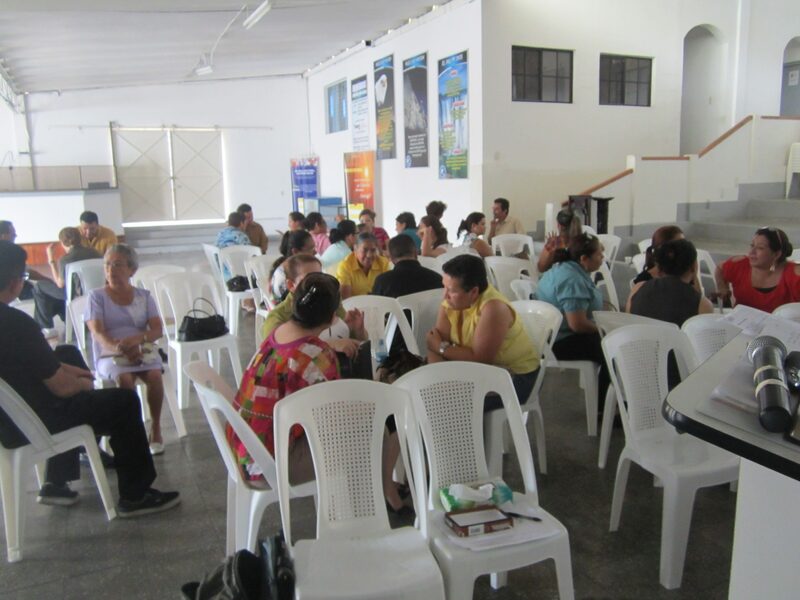 People come forth for prayer ministry that lingers for a while, as participants do their business with God. Some weep, some rest in the Spirit, others are refreshed in their personal commitments they’ve been making before the Lord. Thanks to your teaching on prayer, our church will launch a 40 day season of prayer. We are passing through some difficulties, and your conference has renewed my passion to lead this church in expectant prayer. You’ve helped me understand more about leading in prayer as well as praying in agreement. I look forward to sharing with you what God does with us when you return for the next conference. For the weekend, the team moves to the mountain city of Matagalpa, Nicaragua (pop. 100,000). Building on the prior teaching events in that beautiful village, the teaching team gives the conference on prayer. Again, nearly 50 people from 5 churches make the sacrificial effort to attend the Friday through Sunday event. A few who had been at prior Dunamis events shared personal testimony of how they teach the material in their church and the impact the Dunamis teaching has made in their ministry. 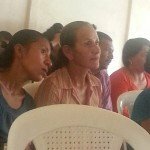 An article like this cannot capture the glow in their eyes, the excitement in their voice, and all the results of ministry they have been doing as a result of Dunamis. This time, they bring more people from their churches. I’ve come to understand deeply through the truth of the word, the work of the Holy Spirit in our lives. At times, our church has experienced a deep growth in desiring the Lord and a longing to walk with the Holy Spirit. God brought me to your conference to solidify me in the manifestation of the gifts, and that I can lead the church in not fearing the gifts of the Spirit. You’ve given me much material to help me with further study. Since your first visit a few months ago, our church has been longing more for the work of the Spirit through prayer and fasting. 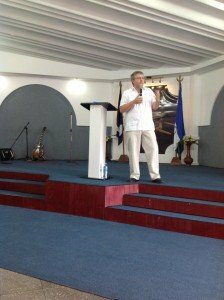 The host pastor allowed the team to teach and preach on Sunday morning. 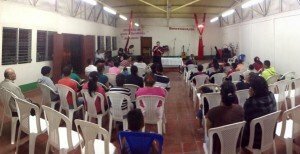 As the evangelistic and renewal invitation was given after the sermon, many people came forward for prayer, seeking out the prayer teams formed by several class members. Putting some of the learned prayer principles into practice, these team members cooperated with the work of Spirit in ministering to those who wanted more of the Lord. Some were reconciled to the Lord, some wanted healing, some surrendered their life to the Lord. The workshop was full of wisdom that I don’t have any questions at the moment. I liked this seminar and can’t wait for you all to return. This seminar moved my heart and I kept desiring to learn more. May you continue to be invited to permit us these great workshops that are of much spiritual help! I learned more about how I could pray. The structure you shared with us helped me to pray with some order and direction. You’ve provided some great training in this area. You helped me to know about the ingredients of prayer. I had doubts that I was praying in a wrong manner, or if I even knew how to really pray. Your conference helped revive my desire to pray, as you taught and shared with me ways of prayer, particularly the work of intercession. Your teaching was clear and it was a great blessing for my life. This seminar helped answer my questions! I want to give a special thank you to the supporters of this ministry. Your financial gifts enabled this ministry to take place. Some of you were on our prayer team that made this happen. 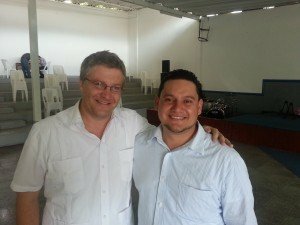 If you would like to contribute to future events and mission in Latin America, your can make your donation online to this work. Every gift you make, or every purchase you make from our store supports the work in Latin America.